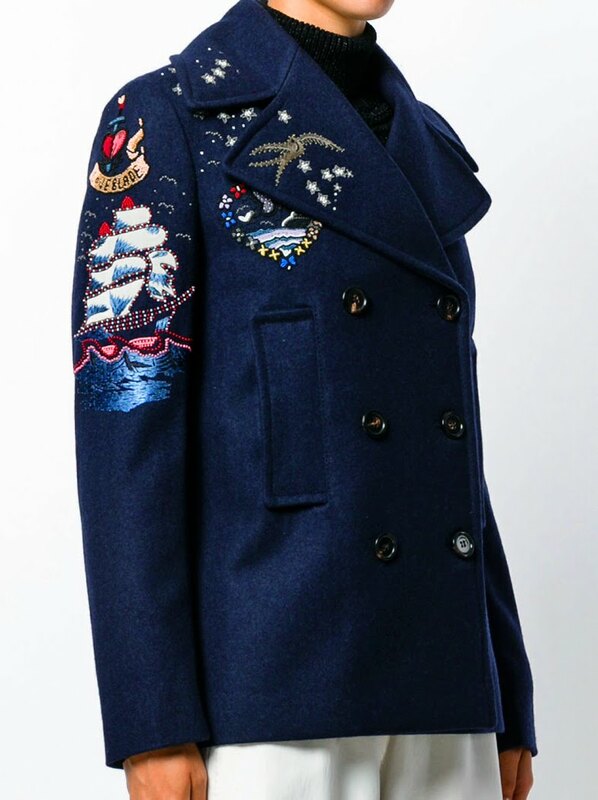 Update your outerwear collection this AW17 season with this offbeat navy blue double-breasted embroidered jacket from luxury Italian fashion house Valentino. Expertly crafted in Italy from high-quality silk, cotton and virgin wool, the jacket features a short length, long sleeves, a double breasted front fastening, two front pockets, an open collar and embroidered prints on the sleeves and to the rear. 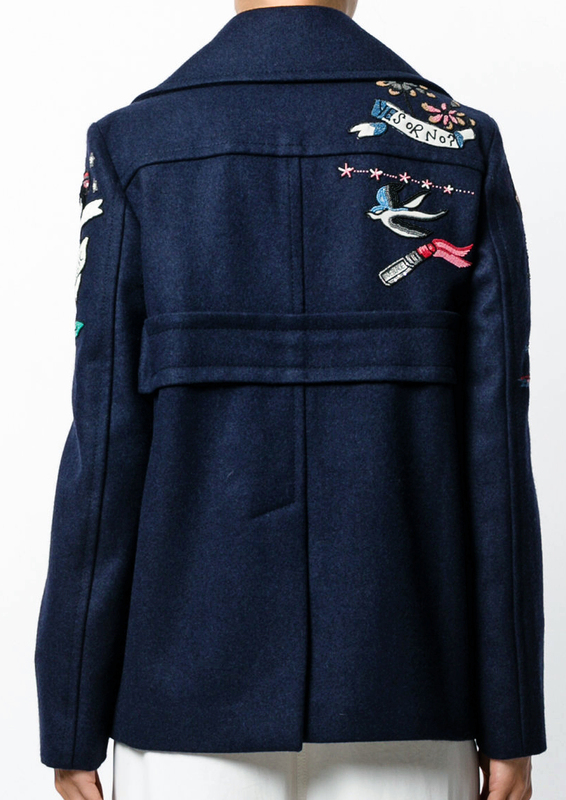 This floral embroidered jumper from Valentino is perfect for the Autumn/Winter season. 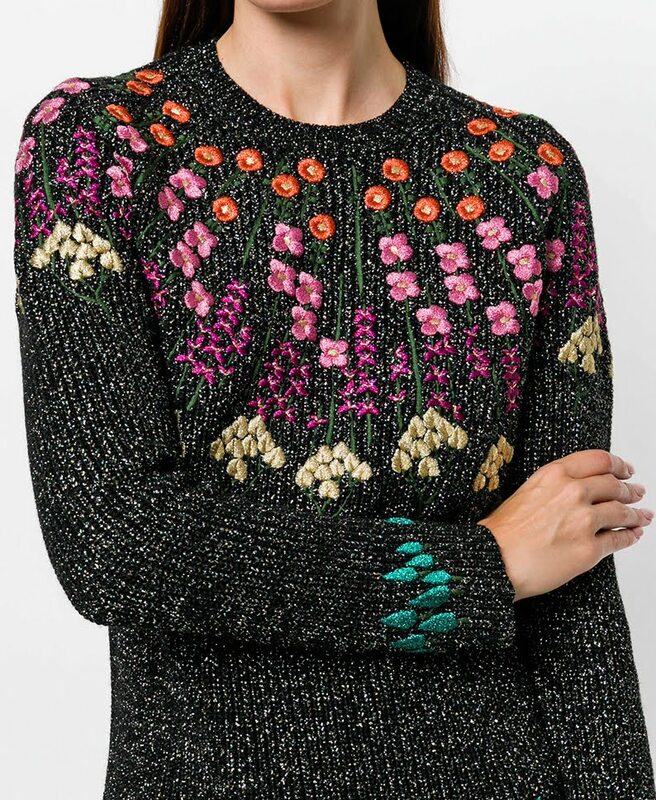 Crafted from a luxury Italian black cashmere-virgin wool blend, this slim-fitting jumper is decorated with floral embroidery on the chest for a playful style. It also features a crew neck, a ribbed design and metallic threading.